For any Internet marketer, tapping the right kind of audience by creating videos for Facebook, is extremely vital for the sustenance of his or her business. And keeping up with the modern trends and the ever-changing attention span of the netizens, video marketing is the only option that sounds legit. Now the question is, how do you channelize your videos to your target audience? Would you spend a hefty amount on TV broadcasting or face the hassles of webcasting? With an average of 8 billion videos viewed daily on the social platform, we believe Facebook can prove to be extremely useful for a marketer to showcase his video contents effectively. With Facebook by your side, you gain immediate access to a broad audience who would appreciate and leverage the videos you make and channelize through Facebook. Because those days are long gone when people were satisfied watching the same videos across all platforms without any complaint. Today the time has changed, preference of the viewers has evolved and they expect to see videos of different length on different social media platforms. And mostly they prefer creating short videos that are excellent tools to get your message across quickly and engage a large number of audience. 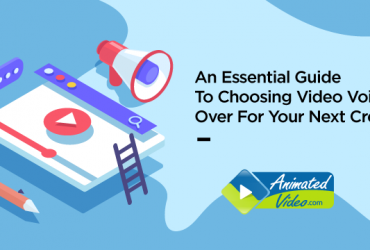 Most Internet Marketers are trying to tap their audience through short videos for facebook that don’t take up much time for the viewers, but convey the information effectively. Short and share-worthy video contents uploaded on Facebook will not only boost your brand, but also build a large number of audience with a chance of transforming into paying customers within months. With 300 hours of videos getting uploaded every minute on Facebook, consider the social media behemoth to be your ultimate video showcasing platform. Short is the new Good! What are Short videos and why are they so popular these days? Short form videos are those shorter and ‘snackable’ video contents that are quick to be produced, easy to channelize, and fun to watch. With the Internet being more portable with the breadth of digital devices, our span of sitting in front of TV or PC has drastically dropped. Even today’s average-Joe would spend more time on his Smartphone or Tab than on TV or computer. So keeping with the changing habits of the audience, the appearance of videos has undergone a total metamorphosis. And when a person today is destined to browse the Internet from his/her Smartphone, then the need for making snackable video contents increases to a great extent. It happens so that long and dense product description seems to be a tedious venture, and a video for facebook in that place works faster and retains the attention span of the viewer until the end. Thus in a battle of a one minute video vs. a video of 30 seconds, undoubtedly the latter steals the show. Easy to digest videos are sure to win hearts of many, and this is one of the main reasons for the recent popularity in short videos. Not only this, short videos are efficient enough to bring creditability to a business by and large. Both the sections of existing customers and prospects savor these snackable contents and acknowledge the creative prowess of the brand. Apart from this, short videos also enhance the interest of viewers. Because the more and more creative contents are shared, it is likely that the audience would build their interest in the brand. New ideas, stories, incidents and exciting events appeal to the audience and their interest quotient on the brand increases like anything. 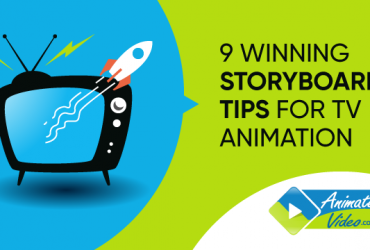 And lastly, short videos are the best to boost conversion. This happens in a process though. 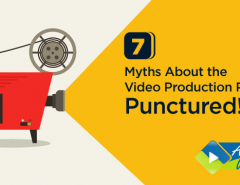 Creating short videos mean less production cost which yields in more videos to be made. This implies more and more videos being showcased on your Facebook channel instead of one. Thus, your target audience has a plethora of moving visual contents at their disposal that they can enjoy and leverage. This culminates in a boost in your conversion rate as prospects, impressed by your videos, tend to place an actual order for your service/product. Now this question can be answered through a number of ways. Firstly, Facebook takes a massive chunk in the daily videos webcasting share, the figure being almost 300 hours of videos every minute getting uploaded. Moreover, the outreach of Facebook is quite extensive and most of the Netizens have a Facebook account, if not any other. Hence diversifying your social media platform helps. Facebook videos are easy to access and give you the ability to convert your viewers into leads, and finally into paying customers. To expand your video presence online, you need Facebook by your side that gives you a golden opportunity to reach a whole new set of an audience each time your video is published. Upon shares and likes, your videos have a high chance of being there in the news feed of several users. Even not just your own clients, but also different other individuals. The more your videos for Facebook get shared by your target audience with their families and friends; you are in a lucrative position. But this may not happen so easily though, as there are certain rules of thumb. Facebook short video contents are liked and shared by many owing to their short nature – Maximum 30 seconds. With the now dropping attention span of people, nobody can succeed if their business strategy revolves around long and dragged-out videos. With millions of brands trying to compete in the Facebook marketing realm, and making their shift to Video Marketing, making your mark is demanding, and requires substantial efforts. To feed the ever-growing hunger of your audience, keep a constant supply of fresh short videos intact. Follow the tips below to create your very own effective short videos for Facebook. When you already have a task of keeping your fresh stock of videos down the line, proper planning is the key to accomplish the job. Determine the beginning, the middle and the end by planning the script beforehand. Plan the videos in a way so that after the production you still have ample time to market your video on Facebook. Capture the hearts of your customers by appealing to their brains which will in turn, resonate with your videos positively. Strive for proper planning and enjoy the perks of it. Facebook is all about likes, shares and posts. Keep a close track on the topic that is trending and is getting the most number of likes and shares. You may draw ideas from that. As your audience sees your videos made on the most trending topic, automatically the viewership rises, people would like to show the videos to their kith and kin alike, and thus you get a maximum number of shares too. And it’s easier to make a 30-second motion graphic on trending topic than something that needs a nightlong research and analysis. You would get a lot of material for something that is in question, people are talking about it and the topic is getting a fair amount of social media coverage. This actually helps. Try to follow this tip to create an engaging short video for Facebook and see where you land. 3. Mind checking videos from similar brands? If you sell skin care products, go and make a search for similar brands on Facebook. See what they are creating, what their videos for Facebook or blog posts talk about. Also, observe which post or content/video has got the most number of likes. Definitely, you would get some content ideas to scope out your own video. At times, we all face a creative block; moreover when a strict deadline is there, it’s difficult to come up with fresh ideas. Checking out videos produced by your competitors won’t do bad, rather helps you in ideation of your own. Get the idea and start scribbling down your own original script. Facebook is such a platform where cat videos are a rage! What I meant by that statement is, anything simple and sweet appeals to the Facebook audience more than a somber and shady content does. Keep your business short and simple so that it is understood by all and sundry. Don’t target a specific group of audience. Instead aim to create facebook videos for everyone, who knows where from you get a prospect/client? The more you make your pitch or message trick and complex, the more you lose eyeballs. Because people here come to relax, they tune in to Facebook to cater to their daily need for videos and other entertaining happenings. Now imagine their newsfeed getting inundated with complex business messages – it goes without saying that half of them won’t even complete until the end of the video. On the other hand, simple messages get more attention and have more power of retaining the audience. You just have 30 seconds in your hands, and even in that short span of time, you just have the first 5 seconds to grab the attention of your target audience. If you fail in doing so, there’s no guarantee whether your video would be viewed or not. The first few seconds are the most crucial, and if you succeed in capturing attention within that time, there happens to be a higher chance of a viewer to stop on your video while scrolling through the newsfeed. As per Facebook’s own recommendation, start with the most captivating element of your brand message, incorporate your brand identity with an engaging text, and set the stage for a problem. Until this point, your audience is hooked to the video, so now start with the solution that you can offer them. End the video with an effective call to action that coaxes the watchers to get up and act. Always remember, videos win it only when they are long enough to garner attention but short enough to leave the viewers hungry for the next step to be done. Don’t create a Facebook video just for the sake of it, create it because your audience needs it. It must target a pressing question and be relevant to your audience. Irrelevant and out of place video contents do no good than overwhelm people. Invest on something that is pertinent and serves the purpose of your audience. For this, you may do a survey asking what problem your audience faces the most when they think of digital marketing or while choosing a digital marketing agency. When you get the answers, you get to the pulse of your audience. Right away start the scripting and come up with an engaging video that gives all the answers. Trust me, your video’s viewership will rise high. And since Facebook is all about sharing content with others, the more your video engages the more shares it gets. It’s a simple math! For higher engagement and leads for your business, your facebook short videos must possess a layer of emotion that entertains your fans. A sense of humor goes a long way. Fun and humor are imperative for both physical world, as well as the virtual. As it is known, that a tinge of fun element in a conversation makes it lively because people can connect with that. Likewise, your facebook video marketing must contain a perfect balance of sincerity and fun that can tune the audience to your video for a long time. Facebook users love funny and comedic contents and that’s the reason we umpteen numbers of memes flocking around. This behavior suggests that facebook short videos must be fun enough to be shared and enjoyed. Humor is a powerful tool that can help you win the hearts of many thus increasing your fan base. But at the same time, your calculations must be adept and you must use humor responsibly. It is highly important to choose the hilarity that goes well with your story. If you are talking about cancer patients or war victims, using humor there can greatly backfire. So use the tool responsibly. Apply wit, intellect and a subtle gaiety. This combination can do wonders for your Facebook video contents. Just in case you intend your videos to be viral on Facebook and rack up millions of shares and views, think for a viral content. We do understand that doesn’t happen overnight, but you must keep trying. Facebook has been spending hefty bills since Aug 31 on Facebook Watch, which showcases TV-like originals. The main intention behind this new strategy is to show publishers what’s possible on Facebook. However, stats and figures still point towards short viral videos that put the others in the shade. Hundreds of new series are being shown on Facebook Watch, from different publishers as the social network giant is willing to spend $1 billion on formulating a library of original videos. This has been a part of Facebook’s “video-first” initiative. Yet, people are gravitating towards short videos depicting funny animals,prank videos, and supposedly ghost hauntings! Well well, doesn’t it seem a bit weird? Why are these videos gaining so much traction than the originals? The answer is the content. The contents of each of the videos are viral and have a vibe to make eyes turn and stay glued. This ubiquitous factor single-handedly drives all the views, likes and shares. Check out the best facebook videos and grab some ideas for your next script, start drafting the copy in a manner that is viral in nature but retains your business message explicably. 9. Talk about Benefits, no bragging! How does your product or service benefit your target audience and your prospects? Why would they choose you amongst all? And where’s that assurance that your product or service will help them in the long run? Too many questions, one short video! This is the best thing your video content can do, by talking about the benefits you offer to your audience and prospects. Why would they choose you, how you can come to their help and whether your service/product would remain relevant in the coming years, provide all these answers through your video. The viewers expect to get answers to their questions that they have, bring it on at just that moment. You will see the chance of your content getting more likes and shares escalate getting you at the top position. On the other hand, if your video is all about showcasing your features and bragging about how good you are, or how it would be a mistake if your audience doesn’t choose you, you would make a big mistake. You can subtly put things as to how your approach and services are unique, without looking too much salesy. Know the trick of turning each feature of your brand as a benefit to your audience. While drafting the script, always keep in mind what tone should work right with the kind of audience you are targeting at. Setting the right tone for your audience is too essential to be missed out. Because the whole success of your videos rests upon this factor. Whatever you create or show, at the end of the day if it doesn’t resonate with your target audience you may call it anything, but success. A content must connect and resonate with the audience so that they can identify their situation as per it is shown onscreen. Why do we laugh, or cry or sulk at a movie? Why do we cheer and bite our nails during a match?. We identify ourselves in that position, resonate with what we see and hence respond to it. In your attempt at creating short videos for Facebook, try to achieve the same. If you have a voice over, take the utmost care of choosing the right voice over artist who speaks in an accent familiar to your target audience. Keep an eye on the pace, the background score, equal gender distribution, and every other smaller detail. These are the things that make a video engaging and memorable. Anything or anyone speaking about a brand from a neutral angle, picks up a lot of attention and curiosity. So if you place one of your customer testimonials on your Facebook page in a befitting manner, it can do wonders. 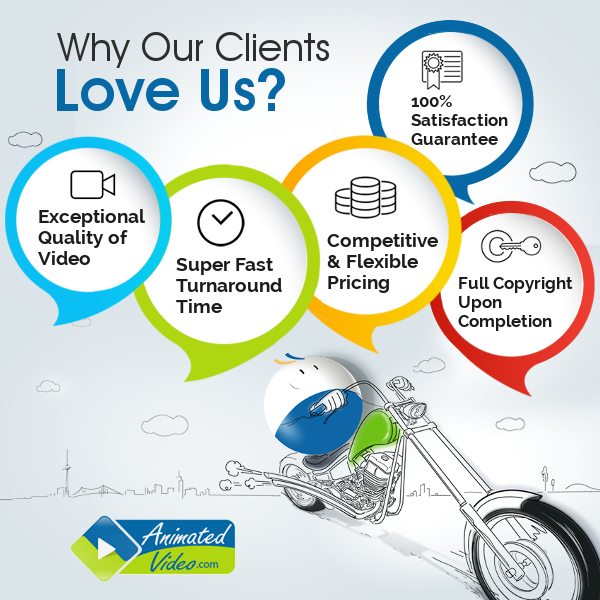 First of all, customer testimonial videos are the best way to showcase your service; as well making it understandable that how your brand and services/products came to the help of the user. This way the faith of your target audience on your brand increases. The moment they see a third party view about you, their perception gets an added positive vibe. And in today’s days where our purchase decision is somehow based upon the reviews of others, video testimonials increase your credibility and reliability. The more your audience sees a third party POV about you, your fan base and prospects increase thus boosting your sales too. WOM, or Word of Mouth is a big thing now. Be it a new phone launched in the market, or a restaurant, or a movie – the hype created by word of mouth is commendable. The reason behind the success of several new brands and products are just because of WOM. And a valuable customer video testimonial on Facebook, augment the word of mouth sensation. Moreover, when sometimes no new script comes to your brain, but you also cannot keep your Facebook profile empty, publishing a short customer testimonial truly helps. Most of the testimonials are not more 25 to 30 seconds and are apt for your short video strategy. It also changes the taste of the viewers who get a gush of fresh and different content from you. All said and done, leveraging Facebook for your video marketing strategy is a remarkably dynamic way to interact with your fans. Marketers all over the world are trying their hands on this marketing strategy, hence making short videos for Facebook high in demand. Join the league and reap some fantastic benefits for your business. Remain consistent with your video marketing tactics and keep a mix of everything in your content. Though today we have talked about short videos, it doesn’t any way demean the effect long videos have on the viewers. Both have their equal shares of attention and almost equal share of viewers. But considering the current time, short videos for facebook rack up more views and engagement than the long ones. Try the simple hacks mentioned above and see your short videos running through the newsfeed of the Facebook population. All the best! Meet your all marketing videos requirements with the help of the professionals. 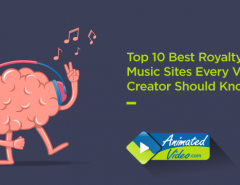 The best video making companies employ some of the best minds from the industry who are always into giving their creative best. Hiring their services as your remote team will provide you with the desired results that you expect from your online video marketing endeavors and the profits will be counted for the long-term.